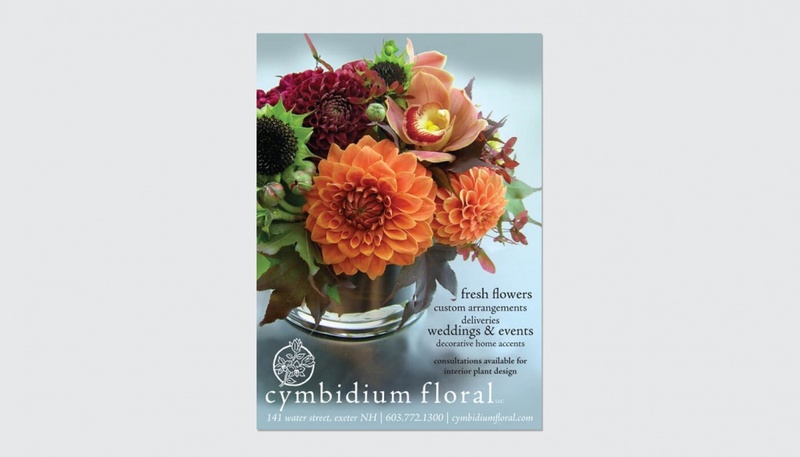 Located in downtown Exeter, NH, cymbidium floral specializes in unusual and exotic fresh flowers, orchid plants, succulents, greeting cards, and handmade gift items and jewelry. 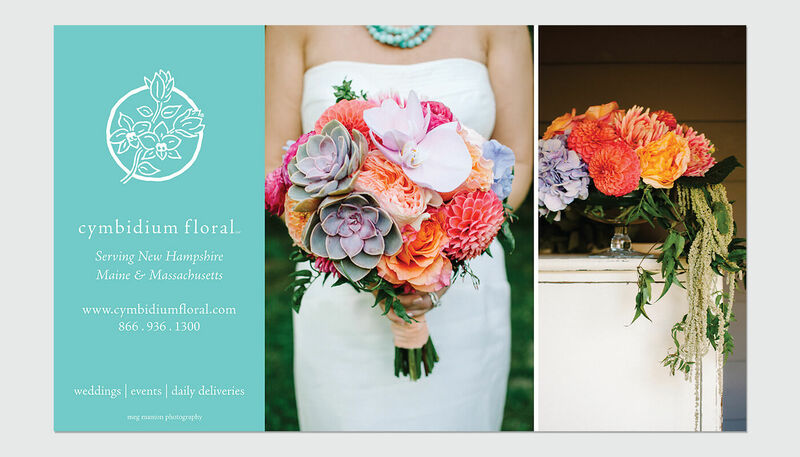 Owner, Jessica Christoferson, and her staff specialize in sophisticated pieces with a creative flair. 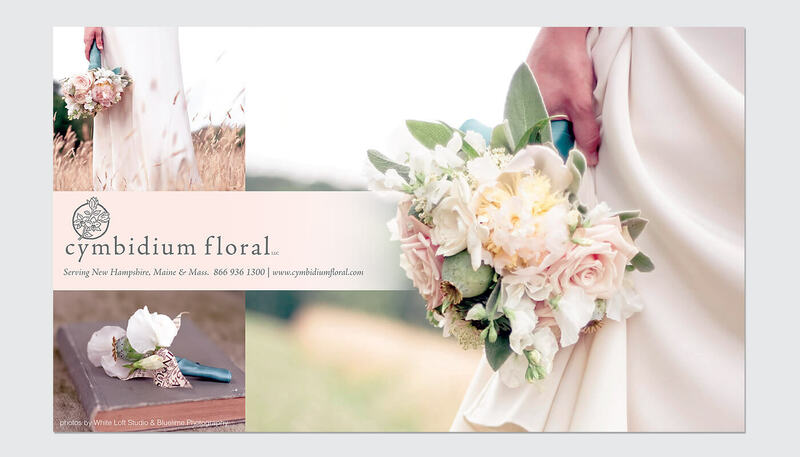 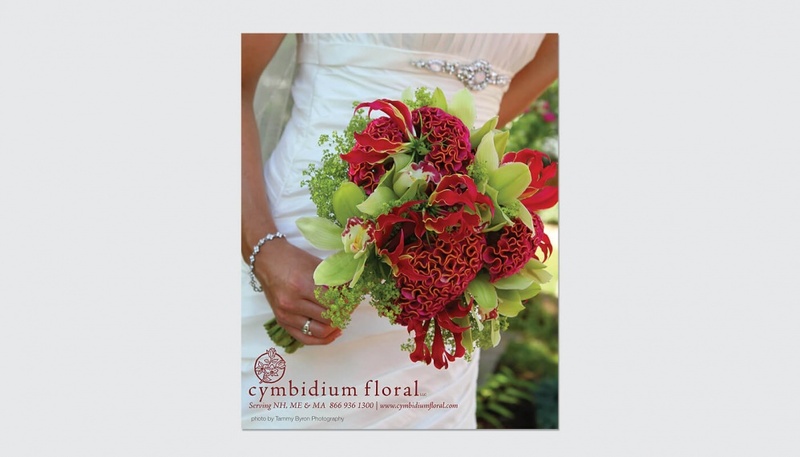 Jessica uses ecm design’s team to create sophisticated floral and bridal ads to showcase cymbidium’s masterpieces.